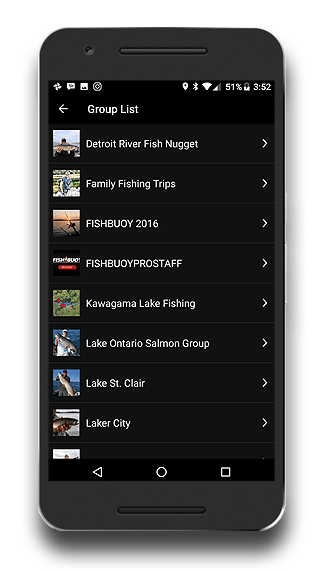 FISHBUOY Pro for Android is the latest innovation in fishing app technology, providing novice and expert fishermen the tools they need to learn from their catches and plan for successful fishing trips. What's unique about FISHBUOY Pro is it's ability to seamlessly display key information that fishermen use to make decisions about when and where to fish. 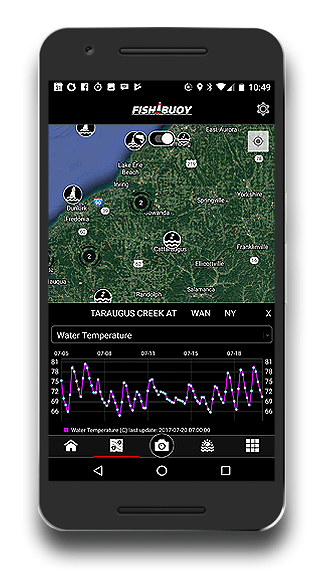 Within a single, easy-to-use interface design, users get direct access to real-time and historical information from water-gauges, marine buoys and weather stations from across North America. Such information is readily used by expert and professional fishermen to time their trips when conditions are optimal for fishing. Now, weekend warriors and casual fishermen will have the tools the pro's use to catch more fish! 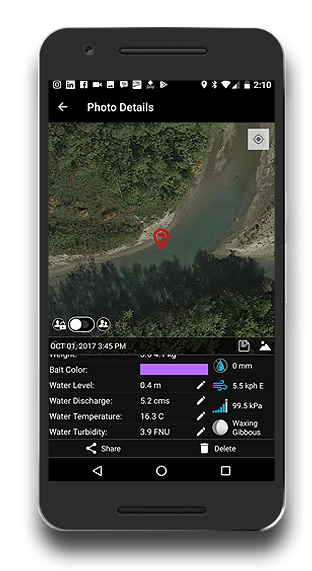 Among the most innovative features of FISHBUOY Pro is it's ability to automatically capture and tag fishing conditions for the specific time and location of when and where the photo was taken. User's simply enter four pieces of information including fish species, water body name, fish size and primary bait color. After saving the photo, FISHBUOY Pro automatically adds the water and weather conditions including water level, flow rate, turbidity*, water temperature*, atmospheric pressure, precipitation amount, wind direction/speed, air temperature and moon phase, directly to the photo. 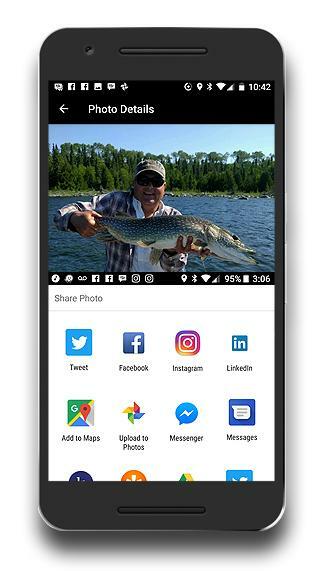 This offers fishermen the ability to recall historical fish catches from their photogallery and reference past conditions to current or prediction conditions. No more guessing about what the conditions on the last trip, you have the information in the palm of your hand. 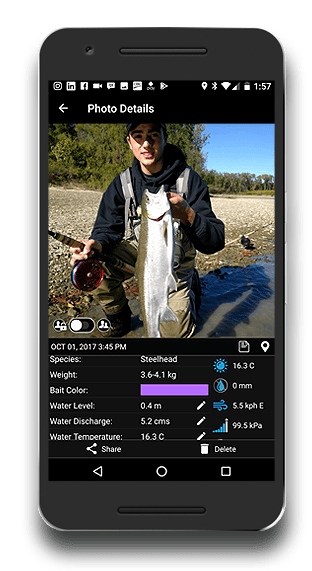 Among the most innovative features of FISHBUOY Pro is it's ability to automatically capture and tag fishing conditions for the specific time and location of when and where the photo was taken. User's simply enter four pieces of information including fish species, water body name, fish size and primary bait color. After saving the photo, FISHBUOY Pro automatically adds the water and weather conditions including water level, flow rate, turbidity*, water temperature*, atmospheric pressure, precipitation amount, wind direction/speed, air temperature and moon phase, directly to the photo. 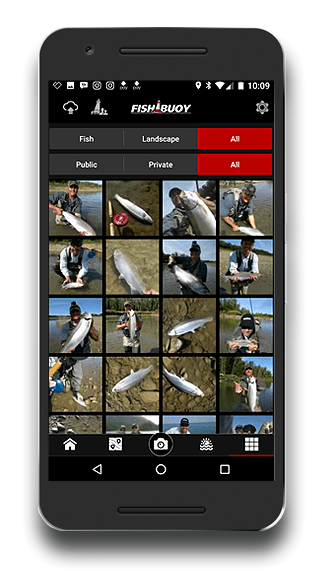 This offers fishermen the ability to recall historical fish catches from their photogallery and reference past conditions to current or prediction conditions. 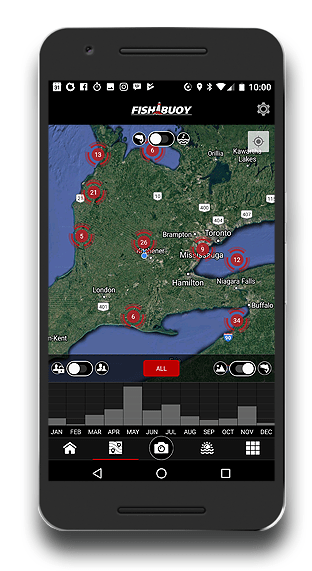 No more guessing about past fishing conditions, you have the information in the palm of your hand. 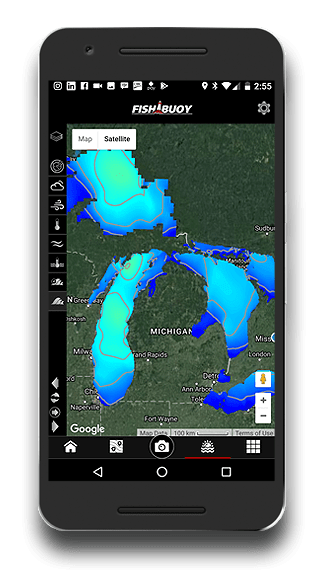 FISHBUOY Pro fundamentally takes a science-based approach, providing relevant and timely information to help fishermen plan for success on the water. 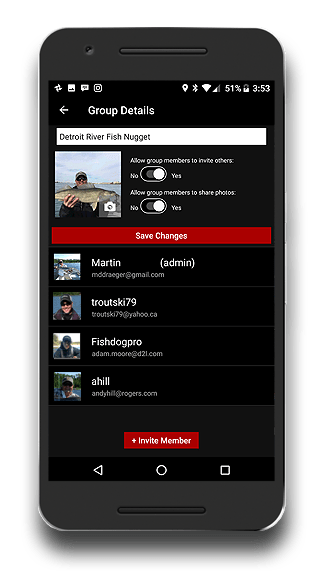 To bring the "fun-factor" into the equation, FISHBUOY Pro also provides users the ability to post their catches, directly from within the app, to industry-standard social media platforms such as Instagram, Facebook, and Twitter among others. With FISHBUOY Pro, you have the best of both world's - a science-based app with the ability to share to whomever you wish - or nobody at all!